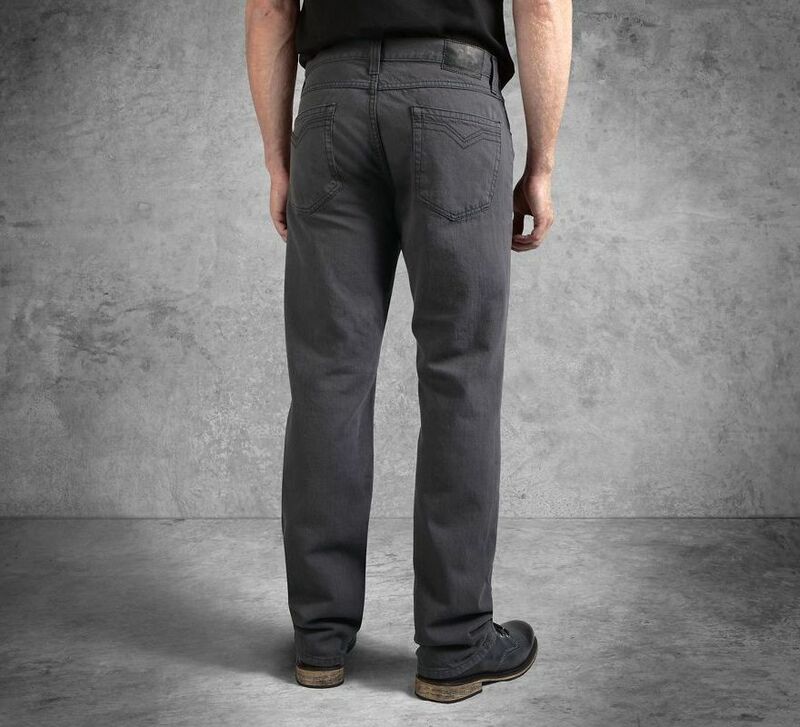 Here are the stats on the Straight Leg Fit Black Label Jeans: sits just below the natural waist...slimmer fit through the hip and thigh….slight taper to the ankle. 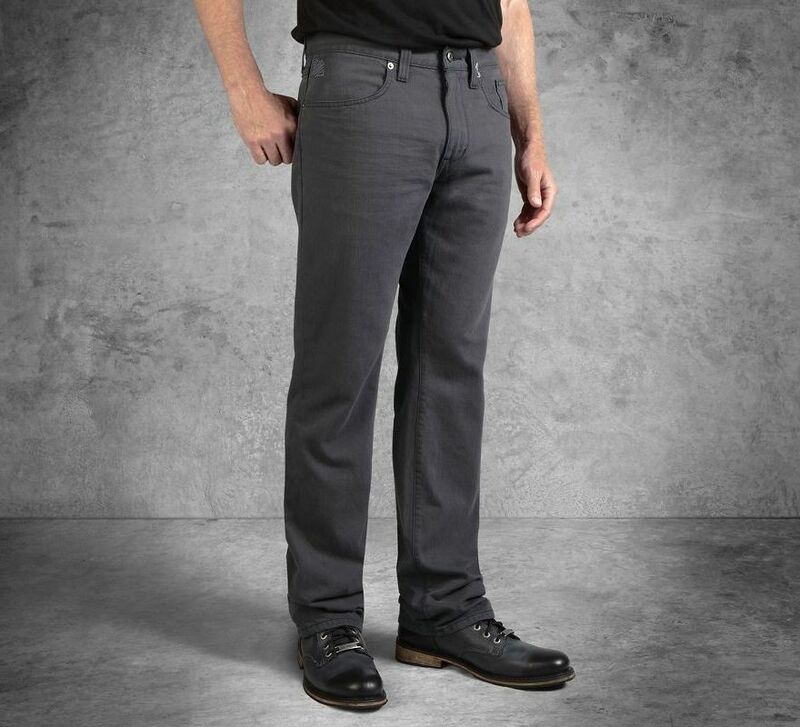 On trend without trying too hard, they have a classic five-pocket style and come in a grey wash to mix up your closet of black and blue denim. 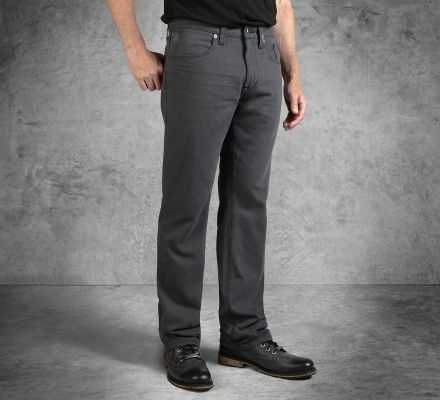 These men's jeans transition from work day to after five with no hesitation.